What I like about Bohol is, it is a complete package. One could enjoy not only the beach and the sea but there are a lot of other interesting things to see and do in-land. Alona Beach has a coarse, creamy sand. Although it is not as fine as the sand in Boracay, Alona beach has all the elements required of a tropical paradise. 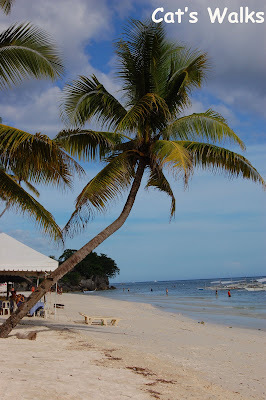 The best part of the beach is in front of Alona Tropical Beach Resort. Along the beach there are a variety of restaurants to choose from so you'll not go hungry. It is also possible to go island hopping, whale and dolphin watching but we passed out on that because we didn't want to wake up soo early (lazy, lazy, lazy, what a shame!) . We stayed at the immaculately clean Isis Bungalows . 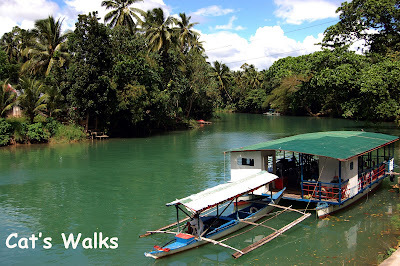 If you had enough of the beach, one can also stay at Nuts Huts which is a row of basic cottages on the bank of the Loboc River. When in Bohol one must definitely go to the Chocolate Hills, Tarsier place in Corella (I am in-love with them), and have a good lunch while cruising along the Loboc River. Upon arriving at the airport in Tagbilaran, there would be drivers waiting to shuttle you to Alona Beach (about 4o minutes) or any resort in Panglao. I cannot remember exactly how much we paid but I can recommend our driver, Bobot. Unfortunately, after arriving in Alona Beach even before finding a place to stay, my daughter got bitten by a monkey (pet of the Korean resort owner). Knowing the dangers of rabies, I immediately asked our driver to take us back to Tagbilaran to consult with a doctor. It took us almost 5 hours to find one (There was no doctor either in the provincial hospital nor in the private hospital). With Bobot, we ran around the whole city trying to find a doctor. Anyway, to make a long story short, finally after 5 hours we found a doctor then went back to Alona beach. I was a little worried about of how much our driver would charge since we basically hired him for the day plus all the effort he put in helping us. Surprise, surprise he didn't charge us a lot more. He said that we should just hire him for an inland tour of Bohol. We did and so the next day we went to the chocolate hills, tarsier place and the Loboc River with him in his Toyota Corolla. I like bohol because aside from the nature being quite well preserved, the people are very kind. Even the doctor in Tagbiliran (I think he owns the private hospital) didn't make us pay a consultation fee. In a lot of the touristic places I had been to sometimes I felt that people are not kind, that for them you are just a tourist with money, in Bohol I didn't feel like this at all! 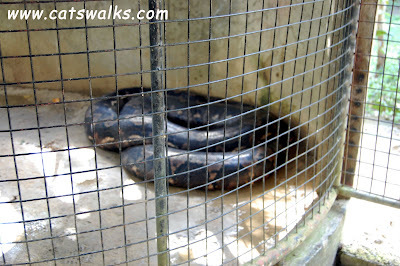 The biggest phyton in the world in captivity can be found in Bohol. This is the owner of the biggest phyton in the world. When you visit, he includes a free dance show complete with pole dancing. 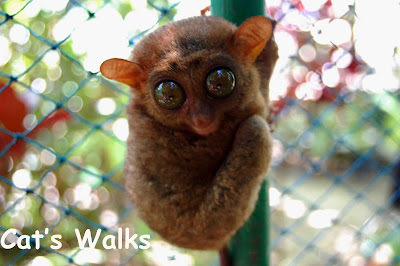 A friend is going to Bohol this coming February as well and they booked at the Bee Farm. This place is supposedly good as well. It is not along Alona Beach though. http://boholbeefarm.com/.